When you get involved with someone brilliant, it makes perfect sense that you want to tell everyone about them. But while Facebook, Instagram and Twitter can be an easy way to shout from the rooftops, these platforms might not always be that good for you. In fact, one piece of research suggests at least 24 percent of people think technology has either a negative, or less-than-positive, impact on their relationships! At Fumble, we’re all about relationships being healthy; so here are four potential issues with putting too much of your love life on social media, and how these can be avoided. One of the most harmful things you can do for your sense of self-worth is spend too much time comparing yourself to other people, and this is true for relationships as well. We’ve all seen the #relationshipgoals, but what most people post on social media isn’t real life. They choose to show a best version of themselves and the best version of their relationships. I know many people who have gone through a tough time in their relationships while simultaneously posting all over the place about how loved up they are. You also regularly see Insta celebs, who developed their brand from documenting their picture perfect family lives, filing for divorce. 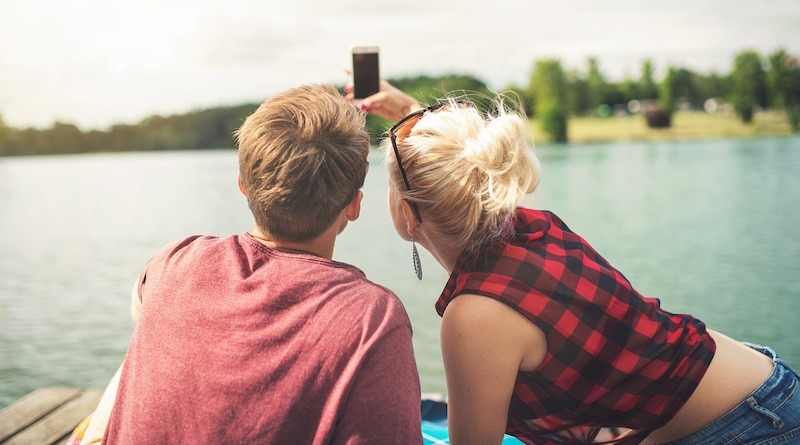 The key point to not feel upset if your relationship isn’t like the ones you see on social media – chances are, theirs isn’t like that either. Many strong, happy couples often choose not to show their relationships online, and if someone’s boasting is really getting you down, just unfollow them. Just because you may want to post about your relationship online, doesn’t mean your partner has to. Some people are more private than others: failing to always tag bae in a status update doesn’t mean they love you less, or aren’t happy to show you off. If they are very open on social media and document every aspect of their lives, then it might feel a little odd if they don’t mention you – but chances are they just want to keep this aspect of their life private. It’s important to talk to your partner about what and how much you want to share. If you’re always checking which photos your partner likes, who they message, or constantly searching for something unusual, this is problematic behaviour. Feeling the need to snoop shows a lack of trust and security, and tells you a bigger conversation needs to be had. However, if your partner’s online activity is making you feel uncomfortable, e.g. leaving questionable comments or frequently appearing in compromising pictures, those feelings are completely legitimate. If you feel upset about something, you are entitled to speak up. Most of us worry about bringing these things up because it’s ‘only social media’. But social media brings up real feelings, and those feelings matter. It’s also really important to think about your own actions online. As a rule, if you wouldn’t do it person, don’t do it online. Bedtime and dates can be a great way to reconnect with your partner and if these moments are eaten up by social media, you may lose your IRL intimacy. When you’re together, try to prioritise quality time without social media, even make rules about when you should both be off your phones. Always remember that you’re into them because of what they mean to you, not what they mean to the rest of the world.